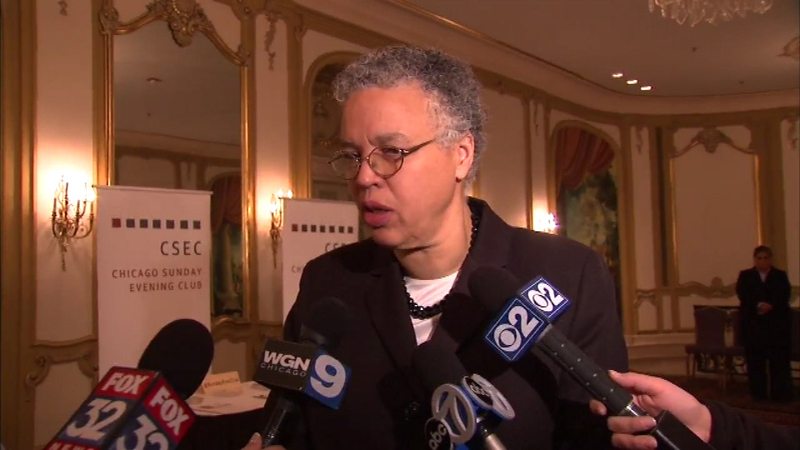 CHICAGO (WLS) -- Cook County Board President Toni Preckwinkle is suing the Illinois Retail Merchants Association, claiming the one-month delay in implementing the soda tax has caused $17 million in damages. The penny-per-ounce tax on sugary drinks started Wednesday, adding a penny per ounce to the price of most bottled and fountain drinks in Cook County. The tax was on hold for a month after a judge granted a temporary restraining order. It was expected to bring in $68 million through the end of 2017. To fill the hole created by the 30-day delay, Preckwinkle ordered 10 percent cuts across the board. Those cuts led to the Cook County Sheriff's Office laying off 300 people, mostly corrections officers, who they hope they will be able to call back.